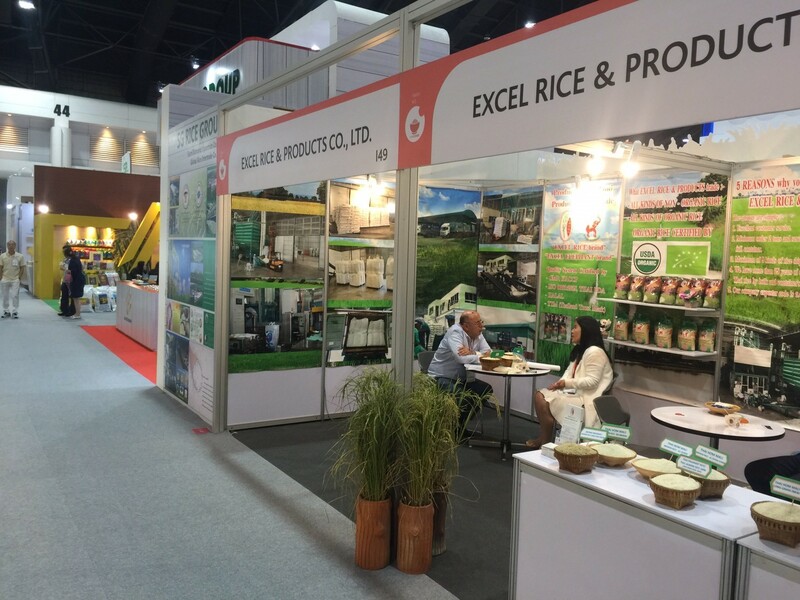 Excel Rice & Products Co., ltd is leading supplier and exporter of all kind of Thai rice. We are packing our own brand “EXCEL RICE and EXCEL ELEPHANT” and Buyer’s brand. More than 25 years in exporting Thai rice such as Thai Hom Mali rice , Thai Jasmine rice, Thai fragrant rice, Thai Parfumed rice , Thai Pathumthanee fragrant rice , Thai jasmine broken rice A1 super, Thai long grain white rice - 5% broken , 10% broken 15% broken, 25% broken, Thai white Broken rice A1super, Thai long grain Parboiled rice sorted quality , Thai glutinous rice, Red Jasmine rice, Brown Jasmine rice, etc Therefore we know how to serve customers in the worlds. All rice we bought directly from farmer cooperatives and rice mills so make the price competitively in the market. The quality is also guaranteed. Our factory can pack 500 grams up to 50 kg in plastic bag, polypropylene bag, gravure polypropylene bag and jute bag depend on customer ’s inquiry. 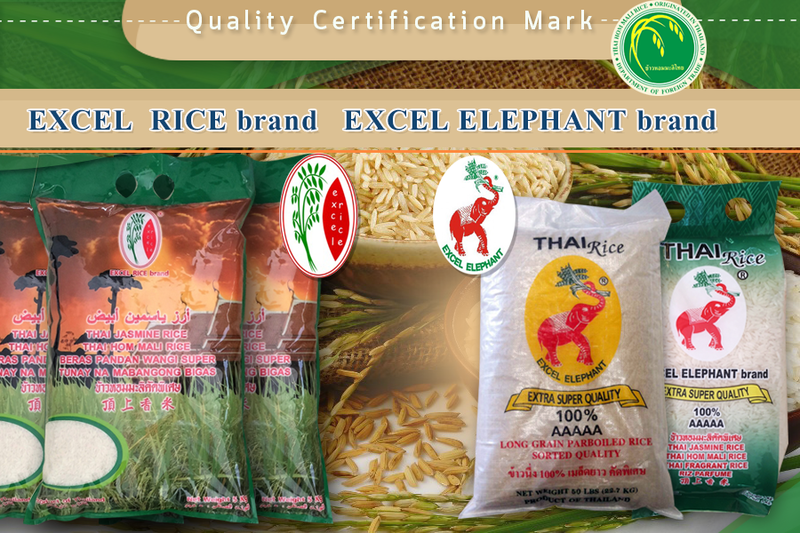 We have our own brand that are “EXCEL RICE” and “EXCEL ELEPHANT”. We also require agent to sale EXCEL RICE and EXCEL ELEPHANT brand. “ EXCEL RICE ” meet international standard, ISO9001, HALAL, HACCP, THAI FDA and THAI GMP that make our rice cleaned, fit for your import regulation and for human consumption. EXCEL RICE ’s factory is located at Chacheongsao Province, not far from Bangkok, Welcome to see our ability and how we are working.